Curry Acura has earned the prestigious Acura Precision Team recognition for 2018, for the twelfth time. The Acura Precision Team distinction is an exclusive award for select dealerships that deliver outstanding client experience and achieve operational excellence. Curry Acura was one of only 83 dealerships nationwide that earned the honor for 2018. In recognition of this achievement, each Precision Team dealership receives an exquisite custom-designed trophy along with recognition materials. 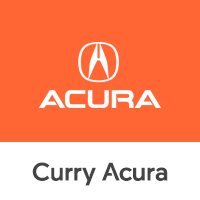 Curry Acura is located at 685 Central Park Avenue in Scarsdale and carries the full line of Acura vehicles. Acura is a leading automotive luxury nameplate that delivers Precision Crafted Performance, representing the original values of the Acura brand – a commitment to evocative styling, high performance and innovative engineering, all built on a foundation of quality and reliability. The Acura lineup features six distinctive models – the RLX premium, luxury sedan, the TLX performance luxury sedan, the ILX sport sedan, the 5-passenger RDX luxury crossover SUV, the seven-passenger Acura MDX, America’s all-time best-selling three-row luxury SUV and the next-generation, electrified NSX supercar as a new and pinnacle expression of Acura Precision Crafted Performance.